Found-object works by Astoria artist Wenda Vorce are on display in the latest Coastal Oregon Visual Artists Showcase at the Newport Visual Arts Center. 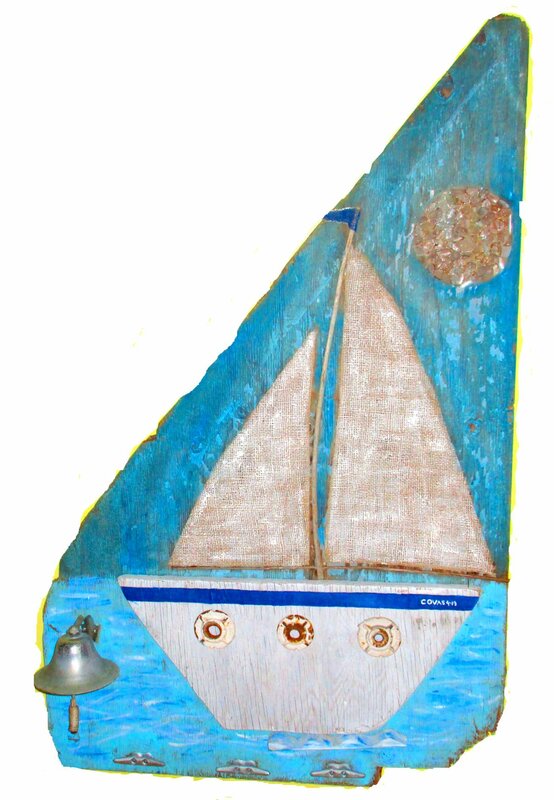 “Astoria Regatta" features mosaics on driftwood, glass and wood pendants, bone and glass mobiles and painted folk art on driftwood — all created from objects Vorce found during walks along the shores of the Columbia River. Vorce describes her work as organic, inspired by nature and not without flaws. Vorce first became involved in making art with recycled objects in the 1980s. She calls her art company “Columbia River Creations” and her works can be found at Creations Studio and other galleries and retail locations around Astoria. “Astoria Regatta", hosted by the Oregon Coast Council for the Arts, will be on display through May 25, available to view from noon to 4 pm Tuesday through Saturday at 777 NW Beach Drive.